The demand for cloud-based solutions has grown rapidly, leaving many datacenters hungry for bandwidth. This has created a demand for cost-effective solutions that can deliver extra bandwidth and fully utilize the high capacity of the new generations of CPUs being used in the servers in the data centers. The new CPUs can easily support data rates higher than the 10 Gigabit Ethernet, which for a long time has been used for connections in the datacenter environment. But upgrading to 40 Gigabit Ethernet comes with an extra price tag due to the capital expenditure and power consumption. 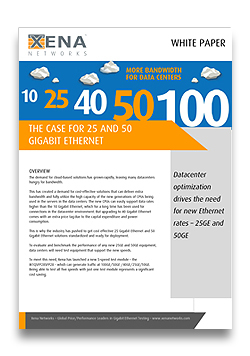 This is why the industry has pushed to get cost effective 25 Gigabit Ethernet and 50 Gigabit Ethernet solutions standardized and ready for deployment. To evaluate and benchmark the performance of any new 25GE and 50GE equipment, data centers will need test equipment that support the new speeds. 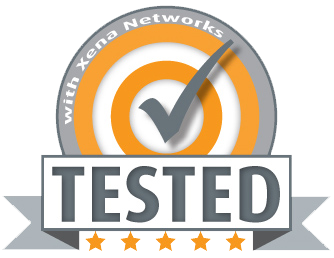 To meet this need, Xena has launched a new 5-speed test module – the Loki-100G-5S-1P – which can generate traffic at 100GE/50GE /40GE/25GE/10GE. Being able to test all five speeds with just one test module represents a significant cost saving.